I said I’d be finished weeks ago. I know, I know, I know. I’ve only got this much to go so (surely) it won’t be long now. 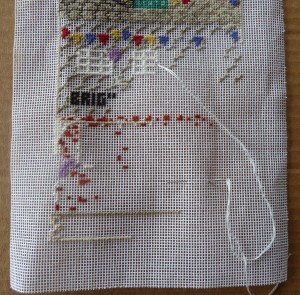 I’m already starting to get excited about stitching up my next design so that usually makes me work a bit faster. This entry was posted in Uncategorized on December 8, 2013 by Elli Jenks.